← D Day-1 to San Francisco! I was preparing myself to write about San Francisco but this morning I received a phone call from Micke which I would have liked not to have. He announced me the passing of Ted, this happenned while we were in SF and no one knew about it. I was very sad to hear this and did not believe it at first, I did not want to. I will need some time to come up with something to write on my blog about this tragedy, right now I am only writing what I feel in the moment and this is sadness. I met Ted two times in the past, the first time in 2005. This was the day my life changed, this was the day my JKD journey started, I felt I was given a unique opportunity when I met him, that same day I met Micke and the rest is well known. That day Ted told me about a few stories as we sat in the lounge of the hotel in Nynäshamn Sweden, I remember looking at him and thinking: ” my God I am talking to Ted Wong , I can´t believe it “. After the training he told me a few words and comments which I will not share here, because this is something I will keep as my own special moment with Ted. Again in 2009, Ted told me something as I was leaving, these words are the last words he told me and I will never forget them. I was hoping for more words but they will never be heard , instead I will keep the last ones in my heart as my special memory and unforgettable experience. Ted was and will ever be the inspiration for us all in the Ted Wong JKD Authorized Training Group in Sweden, we have a deep and endless respect for him. I always say and wrote it a couple of times, I am training first of all for myself but it is thanks to Ted who made it possible for us to go on with the real JKD of Bruce Lee. I really hope the JKD family will stay and grow strong and be ONE as he wished. It is up to us now. I will always remember the words you told me and will go on my journey in respect of your teachings. You gave me and all of us the opportunity to train and we will go on and honor your legacy. You always had and will forever have our deepest respect , as Bruce did, you left us too soon but you have done so much for the JKD world and you will always be remembered for this and for the great Man you are. I feel very sad today and I wish I would not have to write this but now we will have to be strong, we owe that to you. I always have in mind what you told us last year : ” I don´t do that for me , I do that for you because you are the next generation. 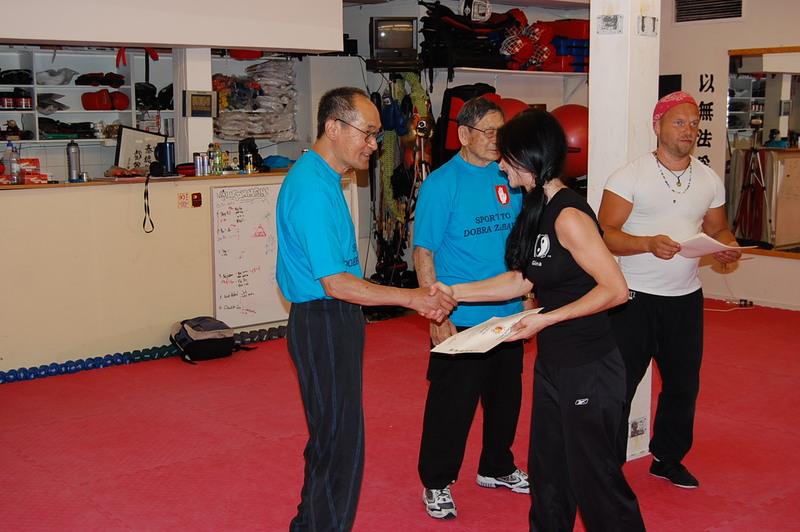 ” Training JKD according to your teachings has not only changed my life, it made me a better person and brought me peace. I always thought there was something special with that day in 2005 when we first met, something that showed me the way. I am sure you have now met Bruce again and both of you are watching us, we will not disappoint you. May you rest in peace, Sifu Ted.